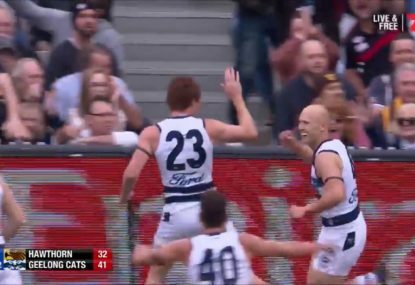 The AFL’s Match Review Officer Michael Christian has decided on a penalty for Geelong’s Patrick Dangerfield after the 2016 Brownlow Medallist appeared to strike Matt de Boer off the ball at GMHBA Stadium on Saturday. 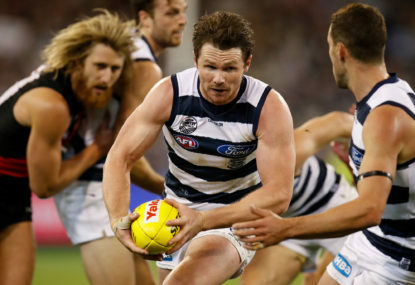 Dangerfield has been offered a $2000 financial penalty only, leaving him free to play in this week’s Easter Monday clash versus Hawthorn at the MCG, and still eligible for the Brownlow Medal. 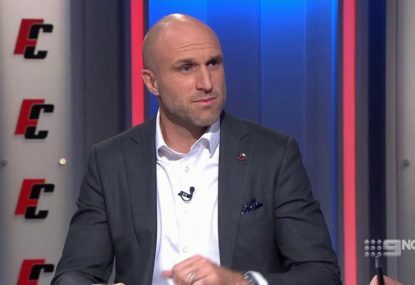 The incident comes just a week after Dustin Martin was fined for striking De Boer in a match which also saw him suspended a week for striking Adam Kennedy. 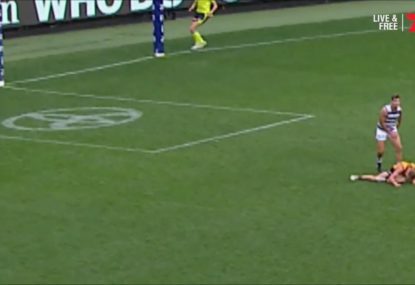 Another incident between Dangerfield and De Boer during the second quarter was also assessed but the MRO ruled that the force involved was insufficient to constitute a charge. 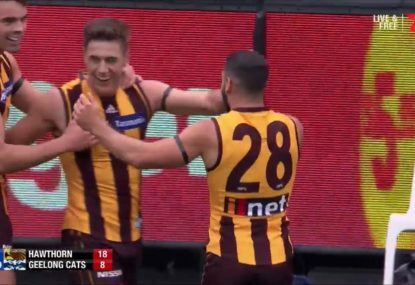 Meanwhile, Carlton young gun Will Setterfield will miss the next two matches after being charged with engaging in rough conduct with Gold Coast’s Wil Powell. The incident was assessed as careless conduct with a high impact and high contact. If accepted, the ban will see Setterfield miss Carlton’s matches against the Western Bulldogs and Hawthorn in the next two weeks. Of course, the Blues have the option of challenging the decision at the tribunal. Luke McDonald has also been offered a one match suspension. Esava Ratugolea, Joel Selwood, Tom Bellchambers, Kamdyn McIntosh, Jack Ziebell and Ben Cunnington have also been fined but not suspended for incidents occurring during Round 4. A former Swan has been the most impressive according to the champ. It’s rare that my two passions overlap so dramatically. Is Hawkins in MRO trouble, or did Sicily flop? 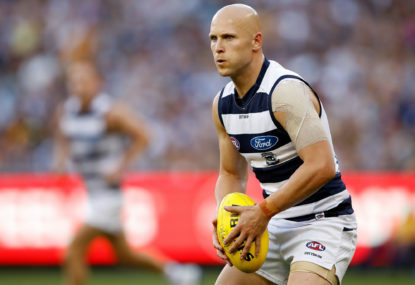 This Monday, April 22 at 3:20pm (AEST) Hawthorn will go head to head with Geelong Cats. Here is all of the information you need to catch the action.